As a finalist in the business pitch competition LaunchVT, Theater Engine needed a brand identity, logo, and online strategy for its theater web application start-up. Keeping the site design intuitive and user-friendly, we chose a theater stage setting to tie-in with the performance arts industry vibe. 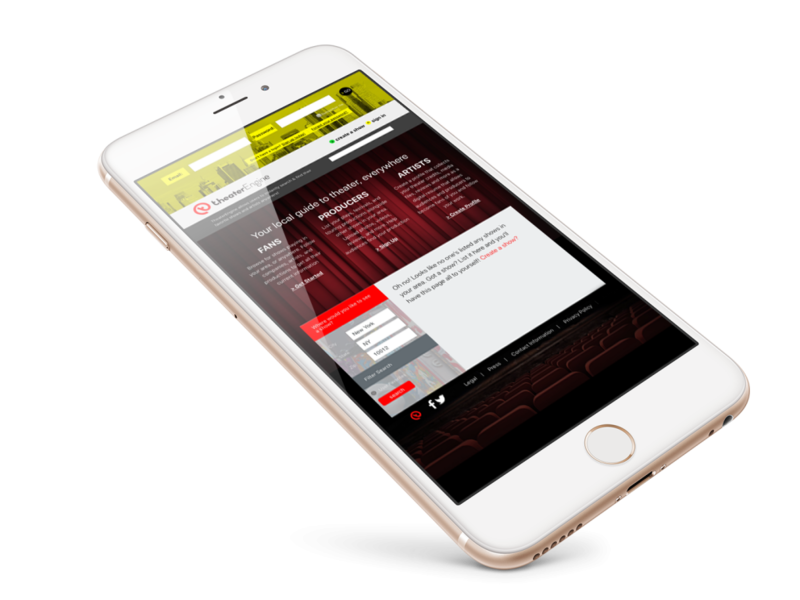 The project’s biggest challenge was building the complex theater web application around the initial concept. The resulting entertainment-based website is a fluid integrated maintenance database where users can search and locate their favorite artists and stage shows, performance venues, purchase tickets, and share community-generated after-show events and information.